With the clocks changing at the weekend, the days are drawing in, with darkness falling upon us at about 5pm now. Soon it will be dark at 3.30pm and for many of this will mean a total lack of daylight during the Winter months. 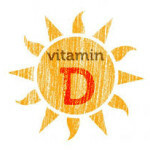 Vitamin D can only be taken into the body via sunlight and a limited number of foods. Therefore, Vitamin deficiency is a major concern at this time of year. Vitamin D is essential for the body to absorb calcium and phosphorus effectively, regulating the immune system and cell activity, thereby potentially helping to prevent cancer. Recent research is beginning to show just how important Vitamin D could be in preventing diseases and cancers – Michael F. Holick, PhD, MD says that “activated Vitamin D is one of the most potent inhibitors of cancer cell growth. It also stimulates your pancreas to make insulin.” This leads me on to say that there has been a link between a low Vitamin D level and type 2 diabetes. So how can you get enough Vitamin D? Those people who disregard the egg yolk are missing out on a very nutritious part of the egg, one of which is Vitamin D – it does however still only contain 40IU but you must remember that not many foods contain Vitamin D..
Again small amounts can be found in milk – 120IU per cup. From this evidence above I can safely suggest and recommend a daily supplement of Vitamin D, especially over the winter months. If you rely on sun and food then it is very likely you will be deficient in this vital vitamin. Taking a supplement should be seriously considered if you want to guarantee sufficient intake and to not suffer the ill-effects of a lack of this vitamin. Remember, at least 600IU of Vitamin D is the recommended amount. 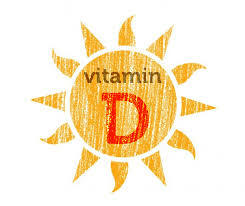 There are two types of Vitamin D supplement – D2, the type found in food and D3, the type made from sunlight. So if you try to consume the food sources and supplement with D3, this would make a great combination and be very effective. You can test your Vitamin D level with a simple blood test. Current guidelines for optimum health benefits of D is 30 ng/mL of blood. Speak to your health care professional but supplement wisely and improve your health. No Comments to "Vitamin ‘D’eficiency"